I’ll be packing up my books soon to move because we’ll be having our house renovated, and adding a bunch of books on the shelf will just make it hard to move out. I’ve been a good girl, yes? 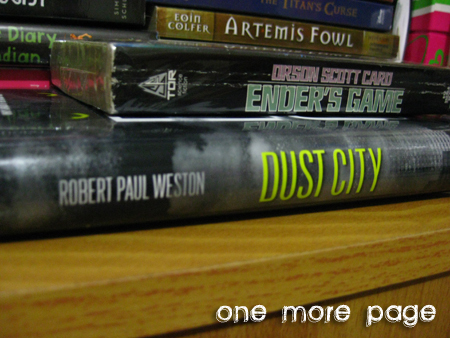 :) So, just two books this week! I also got some pretty awesome emails this week! The best one is probably when Dee of e-Volving books told me I won her 100+ Follower contest! This is my first time to win a book contest that I actually really wanted to join, and the $15 from Book Depository sponsored by Book Quoter is a really awesome prize. :) I’ll post about the books once they get here, of course. Ender’s Game is classic. I hope that you enjoy your books. Check out what I got In My Mailbox. Happy reading. Yes, I think it is a classic too. 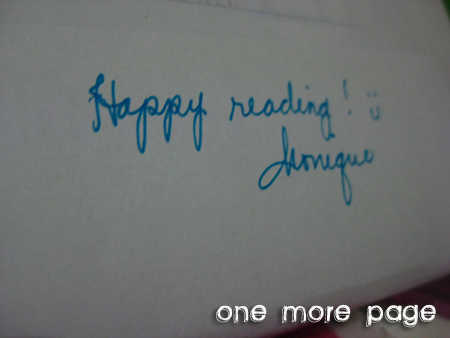 I hope to find time to read it before the year ends :D Thanks for visiting! 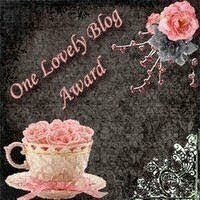 Congrats on your books, giveaway win and award this week :) Happy reading ! Good luck with NaNoWriMo! I want to focus on writing in Nov too even tho I’m not doing NaNoWriMo. I hope you love Ender’s Game. I loved it. Thanks! I have a feeling I’ll be going into NaNoWriMo without any plans, so this should be interesting. :D Thanks for visiting! 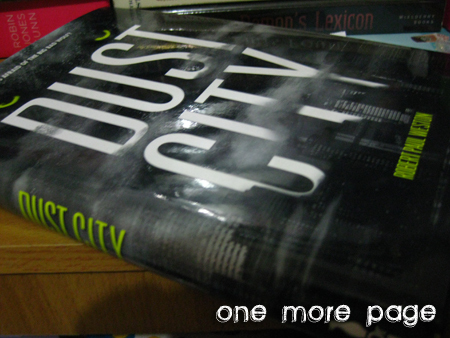 Oh and good job, you got a copy of Dust City! I know you really want that book since you made a Want Books post about it.